The DLC Group, a leading finance and accounting consulting firm, announced today that long-time employee, Marcia Ayala, has assumed the role of Managing Director of the Chicago office. The DLC Group is thrilled to report that Marcia Ayala has assumed the role of Managing Director for the Chicago market. Marcia first joined DLC eleven years ago as a consultant. Over the past four years she has balanced both delivery and business development in her hybrid role as Client Account Director. In her new role as Managing Director, Marcia will continue to build upon the established success of DLC’s Chicago practice. Marcia has over 20 years of finance and accounting experience working with both Fortune 500 and privately held businesses across numerous sectors including healthcare and pharmaceuticals, consumer and industrial products, education, insurance and financial services. Marcia is a CPA and a Project Management Professional (PMP). Her consulting expertise centered largely on acquisition integration, due diligence support, purchase accounting, carve-outs and divestitures, shared services, FP&A, business unit reporting and project management. She received her Masters of Business Administration in Finance from the University of Chicago – Booth School of Business, her Masters of Science in Accountancy from DePaul University of Chicago, Illinois and her Bachelors degree from DePauw University of Greencastle, Indiana. The decision to hire a new managing director is the result of Kerry Heiple’s decision to leave the firm and corporate America for personal reasons. As the current Director, Kerry has spent the last five years developing the company’s second largest market. “Kerry has done a fantastic job leading the Chicago practice and she played an instrumental role in its growth over the last several years,” says Sweeney. Although Marcia will begin her new duties immediately, Kerry will continue to assist on a part-time basis during the transition. 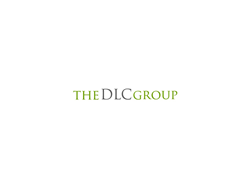 The DLC Group is a leading finance and accounting consulting firm with a diverse service offering and clients ranging from start-ups to Fortune 1000 companies. They are the preeminent provider of finance and accounting solutions in the markets they serve. Named one of the Fastest Growing Private Companies in Los Angeles (2015) by the Los Angeles Business Journal, the company is headquartered in Woodland Hills, California and has offices in Los Angeles, Orange County, San Francisco, and Chicago. For more information, visit: http://dlcgroup.com/.